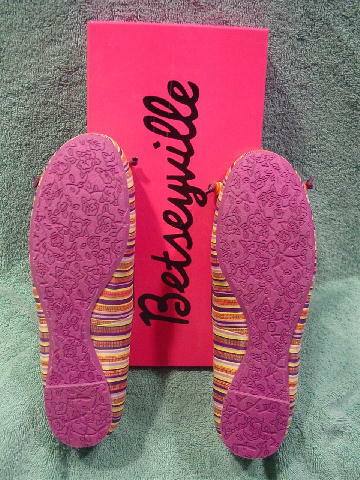 These never-worn multicolor fabric flats are by Betseyville. The style is called Beatrice. 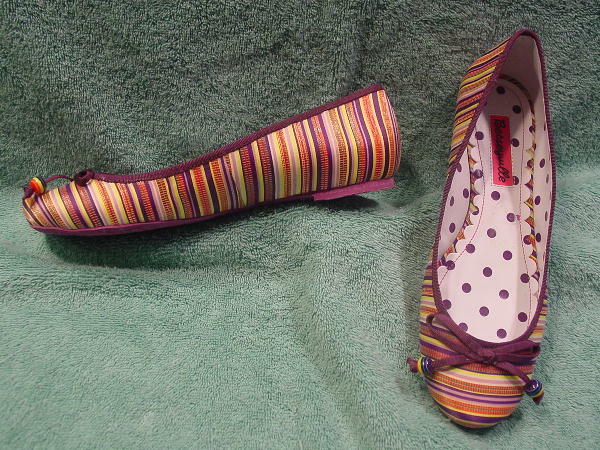 They have white insoles and linings with a purple polka dot design pattern. The exterior has an alternating stripe pattern in yellow, dark purple, orange-red, green, light purple, and white. 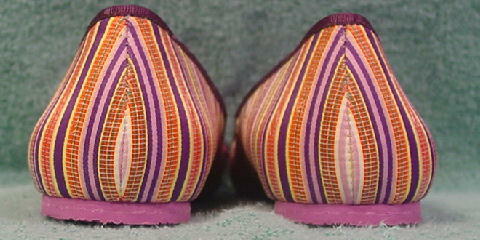 The vamp bow and foot opening edging are in a dark purple grosgrain. At the end of each bow tie end is a glassine bead in purple, white, blue, yellow, orange, and red. A model got them as a birthday present.